Reading the Isaiah chapters that Nephi recorded through the lens of "the Nephite Prophetic View" can illuminate what Nephi understood of Isaiah's prophecies and how he likened them to his own prophetic vision. The second stage of this prophetic worldview involves the Jews rejecting Christ the Lord and his teachings and their subsequent scattering throughout the world. This consequential process encompasses those who were scattered both before and after the coming of Jesus Christ. The last verses of 1 Nephi 11 record the revelation to Nephi that the Lamb of God would be arrested by those at Jerusalem, judged, lifted up on the cross, and slain (1 Nephi 11:32–33). And after they have hardened their hearts and stiffened their necks against the Holy One of Israel, behold, the judgments of the Holy One of Israel shall come upon them. And the day cometh that they shall be smitten and afflicted. Nephi revisited each of the four stages of his prophetic view in 1 Nephi 19–21. In 1 Nephi 20, he turned to Isaiah 48 to provide a further prophetic witness of stage 2. Isaiah 48 begins by depicting the “house of Jacob” in a state of apostasy. They “make mention of the God of Israel, yet they swear not in truth nor in righteousness” (v. 1). “They call themselves of the holy city, but they do not stay themselves upon the God of Israel” (v. 2). Nevertheless, for my name’s sake will I defer mine anger, and for my praise will I refrain from thee, that I cut thee not off. For, behold, I have refined thee, I have chosen thee in the furnace of affliction (1 Nephi 20:9–10; Isaiah 48:9–10). Wherefore, the Jews shall be scattered among all nations; yea, and also Babylon shall be destroyed; wherefore, the Jews shall be scattered by other nations. Nephi and his people were a part of the initial waves of the scattering of Israel because of apostasy. 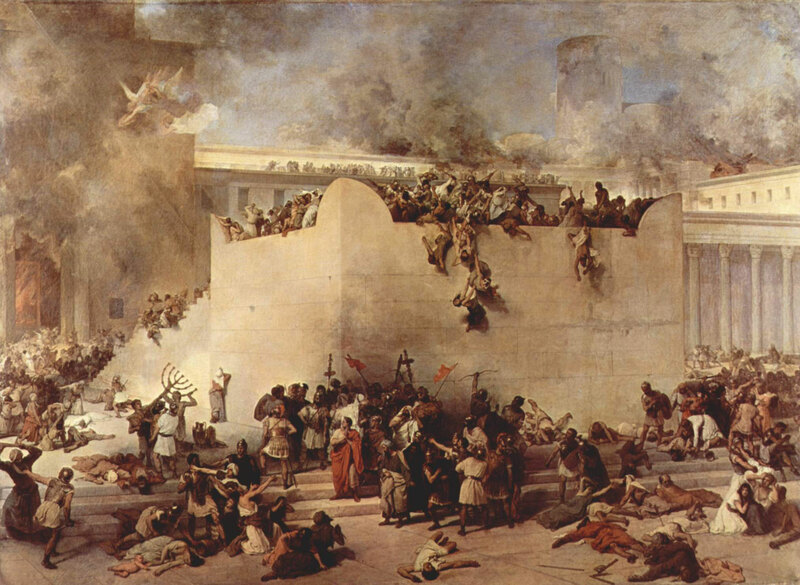 Jerusalem was destroyed and the people were scattered both before and after the coming of their Redeemer. Thus, the Nephites were acutely aware of the reality of being scattered. Therefore, Nephi provided his people and later readers of the Book of Mormon with three prophetic witnesses of the future of the House of Israel: (1) his own vision, (2) the testimony of his brother Jacob, and (3) the words of the great prophet Isaiah. In reading the Isaiah chapters of 1 and 2 Nephi, along with the inspired commentary of Nephi and Jacob, the lens of “the Nephite Prophetic View” can give readers a useful tool for understanding what they are reading and why Nephi decided to include these specific points and chapters from Isaiah. The Lord communicated through these prophets the reality of the scattering of the House of Israel. At the same time, God promised that he would not forget his people and those who would have him as their God, no matter where they found themselves. Nephi and Jacob wanted their people, and all of their readers, to internalize what God has promised to do. The title page of the Book of Mormon declares that one of the book’s purposes is to help readers to “know the covenants of the Lord” and thus understand “that they are not cast off forever.” Just as scattered Israel would have to pass through “the furnace of affliction,” and yet will be redeemed and can be restored to a blessed state, so the Lord will always remember all his children and be willing to forgive and bless each and every one who returns and comes unto him. Book of Mormon Central, "How Did Nephi Read Isaiah as a Witness of Christ's Coming?" KnoWhy 40, (February 24, 2016). 2. John W. Welch, “Getting through Isaiah,” 21. 3. John W. Welch, “Getting through Isaiah with the Help of the Nephite Prophetic View,” in Isaiah in the Book of Mormon, ed. Donald W. Parry and John W. Welch (Provo, UT: FARMS, 1998), 19.